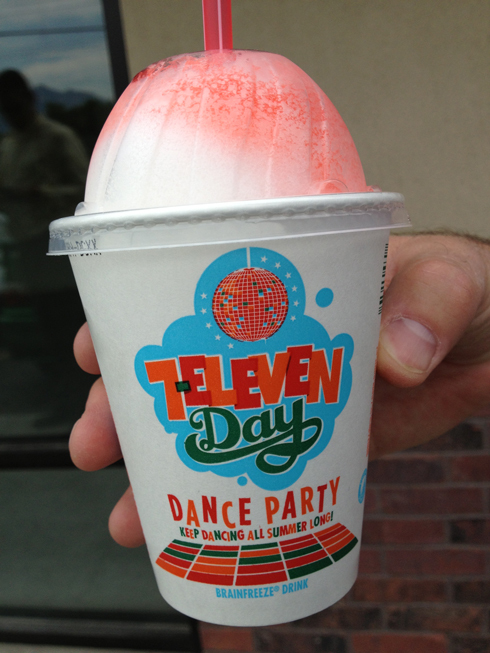 As what happens on every July 11th, this year’s Slurpee Day is proving to be just as magical. Previous years have seen me all excited for this day. While I didn’t do the Slurpee Dance, I did enjoy the above video. Pina Colada and Cherry… for free. The cup is much larger than last year’s, checking in at 12 oz of Slupree goodness. I mixed a pina colada and cherry, which are two flavors that taste great together. 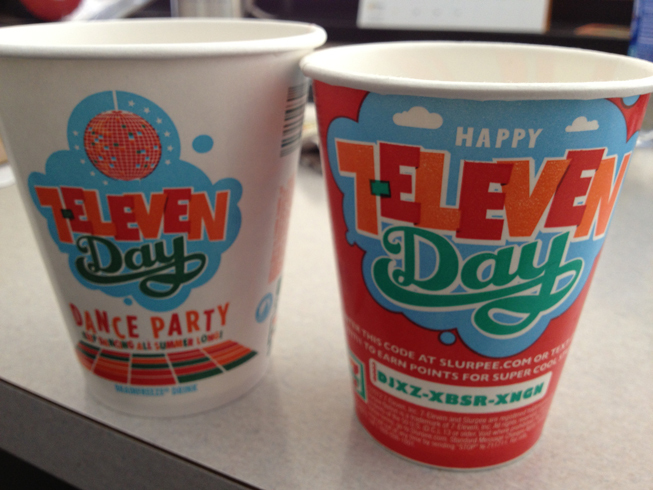 Last year’s cup was 7.11 oz, which did nothing more than celebrate the name of the store these frozen sugar beverages are served at. The leftover 2012 cup is what they gave me yesterday with no domed lid. And they didn’t let me pull my own drink so I couldn’t mix but your idea sounds great! Leftover cups? That’s not nice. And no domed lid? 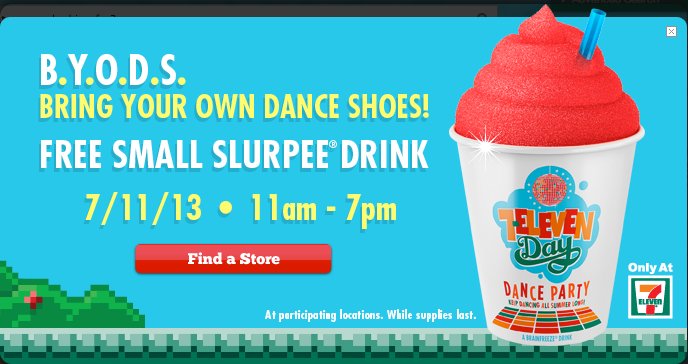 And you couldn’t pull your own Slurpee? What kind of 7-Eleven does that? Epic fail! But hey, at least it was free. How do you know about these things? I’m so out of the junk food loop! It’s one of those annual geek junk food events that’s easy to remember and fun to look forward to. Plus, Kapgar’s blog had a nice reminder the day before.